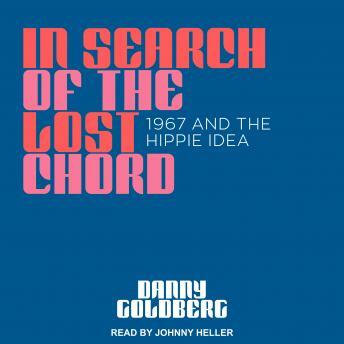 Danny Goldberg's new book is a subjective history of 1967, the year he graduated from high school. It is, he writes in the introduction, 'an attempt at trying to remember the culture that mesmerized me, to visit the places and conversations I was not cool enough to have been a part of.' It is also a refreshing and new analysis of the era; by looking at not only the political causes, but also the spiritual, musical, and psychedelic movements, Goldberg provides a unique perspective on how and why the legacy of 1967 lives on today. 1967 was the year of the release of the Beatles's Sgt. Pepper's Lonely Hearts Club Band, and of debut albums from the Doors, the Grateful Dead, Jimi Hendrix, and Janis Joplin, among many others. In addition to the thriving music scene, 1967 was also the year of the Summer of Love; the year that millions of now-illegal LSD tabs flooded America; Muhammad Ali was convicted of avoiding the draft; Martin Luther King, Jr., publicly opposed the war in Vietnam; Stokely Carmichael championed Black Power; Israel won the Six-Day War; and Che Guevara was murdered. It was the year that hundreds of thousands of protesters vainly attempted to levitate the Pentagon. It was the year the word 'hippie' peaked and died, and the Yippies were born.